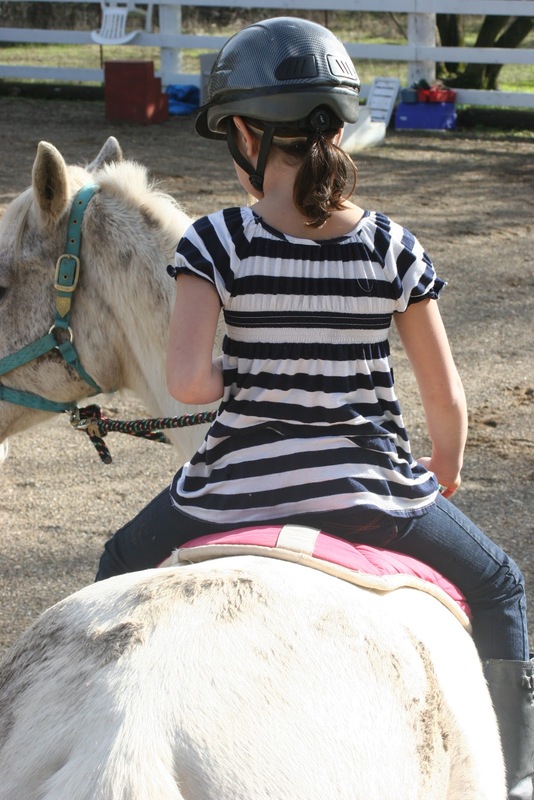 today Jillian had her first official horse back riding lesson. i watched with my back straight and shoulders back, as if it was me riding. sitting on the top of a fence post balancing between the rails was second nature. i thought about all the days my dad sat and waited for me in the cold, rain and dry heat. i remembered the win in Santa Barbara running into his arms as if we had both just won the biggest event of our lives. i could not help but feel this sense of satisfaction as the smell of fresh manure lingered in the air. she is a natural. i oozed with pride as she sat up and trotted. yes trotted, at the first lesson. she was solid, beautiful and poised on the horse. as if she had been riding for years in another life time. she has beautiful form and long lean legs. her shoulders were square and chin up (most of the time). i thought back when i was 12. 33 years later i am satisfied. thanks mom and dad. my heart is warm.